The nation of Curacao has been synonymous with online gambling since the pastime was in its infancy. Curacao sits on an island paradise in the southern Caribbean Sea. Their government provides a wide range of services to any operator who can meet their requirements and pay the necessary licensing fees. The nation of Curacao is a constituent country within the Kingdom of the Netherlands. This makes it reliant on the larger political entity for military defense and foreign policy matters, and it shares this status with fellow islands such as Aruba and Sint Maarten. All these islands were once part of the Netherlands Antilles (along with Bonaire, Saba, and Sint Eustatius), although in 2010 this autonomous Caribbean country dissolved. Located off the coast of Venezuela, the country of Curacao consists of two islands. The nation’s namesake is 171 square miles, with a population of over 150,000. The other island, known as “Little Curacao,” is empty except for a lighthouse and diving spots that frequently attract tourists. The capital of Willemstad was founded in 1634 when the once-powerful Dutch West India Company seized the land from Spain. Tourism and international trade are major components of the economy, while a large—and legal—open-air brothel known as “Le Mirage” draws in sizable crowds due to its location near the airport. Curacao created legislation for regulating online gambling in 1993, although it became more official with the establishment of the eGaming Licensing Authority in 1996. The Curacao Gaming Control Board regulated online gambling during the early years, but the Curacao eGaming Licensing Authority took this responsibility following decentralization in 2002. Since then, the business of hosting and licensing Internet gambling has contributed a major boost to the nation’s economy. While the Gaming Control Board no longer involves itself in the business of online gambling, it does oversee all land-based casinos within the nation. They collect taxes on behalf of the government, prevent fraud and money laundering, and also combat gambling addiction. In 2001, the Curacao Internet Gaming Association (CIGA) was established. A member of the Interactive Gaming Council, its responsibility is to ensure that online gambling operations within the nation adhere to a code of conduct and meet all licensing requirements. They also act as an advocate for their members, working with lawmakers within the government to assure gaming-friendly policies. To visitors, Curacao is a Dutch Caribbean Island that is fun to visit for a relaxing beach vacation, with beautiful coral reefs and quality marine life. For online poker operators, Curacao is a desirable location to acquire licensing. Curacao is a top option for online poker operators who want to be considered a safe and trusted site among players, with a simple process for obtaining gambling licenses. 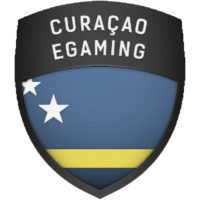 The Curacao Internet Gaming Association or CIGA, is in charge of the internet and online gaming industry in Curacao. The group ensures that all members agree to abide by code of conduct regulations and stay in compliance with the requirements set forth for licensing. Gaming companies like the low tax rate that is available in Curacao as well as the ability to gain licensing plus hosting capabilities, via the gambling commission. The Curacao Gaming Authority provides a nice environment for online gaming companies to obtain licensing, with the process being both quick and inexpensive. Several top online poker sites are licensed in Curacao including PokerStars, PartyPoker, 32Red Poker and Unibet. When players visit Curacao poker sites, they will find certain payment methods are on offer. From credit cards to eWallets, online poker rooms with Curacao licensing offer nice alternatives for depositing cash. Being able to deposit with ease is a plus, as players want to quickly begin playing their favorite poker games. It is important to find the right deposit method that suites the individual player’s needs. One option that players will find on offer via sites like PokerStars and William Hill Poker is Western Union. With Western Union Curacao, you will have the option to complete a cash transfer to load your online poker gaming account. Visit the Cashier and choose the Western Union deposit method and simply follow the instructions on how to complete the cash transfer deposit. Many online poker rooms do not show Western Union as an available deposit method, but will allow the option to be used. To find out if a poker room offers Western Union for deposit, email or use Live Chat to ask a customer service representative. If you want to use a physical Western Union location for deposit, you will need to email the poker room and determine if you have the ability to do so. A name will be provided as to who you will need to send the money to. You will then need to visit a Western Union location to make the deposit. In Curacao, there are three Western Union physical locations in Willemstad. Online poker players can easily visit any of these three locations in Curacao to be able to deposit funds for online poker game play. If a company wants to run their gambling (specially an egambling license) operation out of Curacao, they must first get a license. In this section, we’ll look at how the process works. A backup of the customer and transaction database must be hosted in Curacao. The site’s primary market must be listed. Bank references of the owners, no older than three months, must be included. Copies of the owner’s utility bills, no older than three months, must be provided. The applicant must provide details about the online software being used. A third party must provide verification that the random number generator software being used is fair. The owners of the company cannot have a criminal record. A copy of the owner’s passport must be provided. The owner must verify that minors have been blocked from playing at their casino. Information on problem gambling must be displayed on the gaming site. A description of the games being offered must be provided. The nation only offers one type of license, and it includes games of chance, skill games, and sports betting. A master license applies to the company itself, but obtaining a sub-license allows the owner to bring third-party operators on board (although they must still adhere to the rules and regulations set forth for the master license holder). In addition to the CIGA working on behalf of its members, available hosting and IT infrastructure also make the nation an appealing option for operators. The corporate tax rate is 2% of net profits, and there are no import duties or sales tax. How much does it cost to get a gambling license in Curacao? In case you’ve ever wondered about the cost of running an online casino (online poker rooms for example) out of Curacao, this section is meant to provide an itemized breakdown. Keep in mind, however, that these prices will change over time. While the country has taken great pains to ensure that online casinos within their borders are able to operate without incident, the same can’t be said for the patrons of these gaming sites. Curacao takes a hands-off approach to disputes between Internet casinos and their patrons, urging the two to reach a resolution without involving the tiny island nation. This might work out fine as long as the casino is a reputable entity, but there are also a number of shady organizations that have obtained a license and are more than happy to cheat their players. The ultimate lesson to be learned here is this: “Always conduct research before opening an account with an online casino.” Almost all gambling sites are licensed by someone, but this doesn’t mean much if the entity who issued the license is unwilling to get involved on behalf of the customer. Are you looking for information on another jurisdictions? You can find out information about different and main jurisdictions where online poker rooms are available legally you can easily see our descriptive help towards open information.